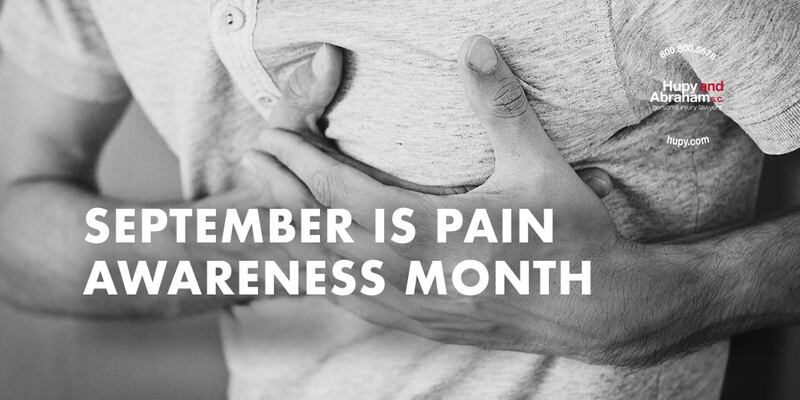 September Is Pain Awareness Month | Hupy and Abraham, S.C.
More Americans live with chronic pain than the combined number of Americans suffering from diabetes, heart disease, and cancer. Pain can impact every aspect of a person’s life: from her daily living activities to her work to her relationships. Sometimes pain is the result of an illness or medical condition, but other times it is the result of a personal injury accident. Nursing home abuse or neglect incidents. Pharmaceutical medications or medical devices. If you are in pain for any reason, then you need to know how to access appropriate treatments. Treatments are always changing. You may benefit from working with a pain specialist to help you get the treatment that you need to live your life as pain-free as possible. If you are an employer, then can make reasonable accommodations for employees who are in pain. If you are related to someone in pain, then you can help your relative with daily living activities, with finding the right doctors, and navigating the healthcare system. If you are friend with someone in pain, then you can be supportive by understanding when pain forces a friend to cancel plans, by changing plans if possible, and by providing emotional support. Of course, it is also essential that doctors listen carefully to their patients and try innovative approaches to managing pain. Please help raise awareness about chronic pain, and thereby help people who live with painful conditions, by sharing this article with your friends and relatives. Together, we can support those who are hurt and help them to the extent possible.